Did the industry cut off its nose to spite its face? Everyone in the solar industry remembers where they were when news broke that a group of solar manufacturers filed a petition with the U.S. Department of Commerce and International Trade Commission, demanding an investigation of what they considered to be unfair business practices within the Chinese solar industry. Many of us were at the 2011 Solar Power International trade show in Dallas, where the announcement instantly altered the tone of the week and sparked many a debate. The news struck an uneasy chord with me. My company, Silicor Materials, was at the time eyeing Lowndes County, Mississippi as the location of our first large-scale solar silicon manufacturing plant. 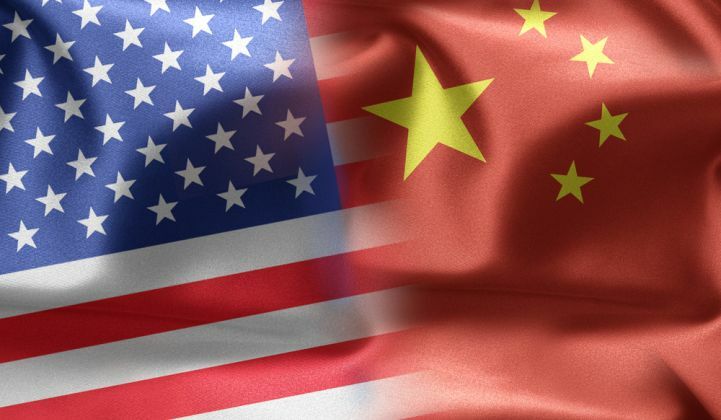 My fears were confirmed several months later when the U.S. and EU imposed hefty tariffs on cells and modules exported from China, prompting Chinese regulators to respond with a review of silicon imports from the U.S., South Korea and the EU. Silicor’s ability to serve the world’s largest region for solar manufacturing was suddenly in jeopardy, leaving our team to make the sink-or-swim decision to relocate our first plant outside the U.S.
Fast-forward to today: Silicor ultimately found a home in Iceland, where leaders reached a free-trade deal with China in 2013. We recently raised $105 million in equity capital agreements to support the construction of our plant, a significant economic driver in the country and one that will place Silicor among the top six solar silicon producers in the world. While we are quite pleased with our new location -- Iceland is an unyielding supporter of renewable energy and environmentally friendly operations -- we can’t help but feel disappointed by the missed opportunity to bring this economic development opportunity to the U.S. We are not alone in this struggle. Consider this: On September 23, 2016, REC Silicon ASA announced that it does not expect to meet its previous guidance for third-quarter (Q3) polysilicon production and sales. The company then stated that “the reason for that [is] the effects of the ongoing solar trade war between the U.S. and China,” and said that its Moses Lake facility in Washington will run at roughly 50 percent of full capacity starting on October 1, 2016. REC Silicon was among those companies hit hardest by the Chinese tariffs, with a 57 percent penalty on all imports to the country. Despite the calls from our politicians, environmental experts and business leaders to drastically scale renewables before it’s too late, little is being done to put this lose-lose trade war to rest. The situation remains difficult for my team, and for a number of American solar companies that want to bring manufacturing jobs back to the United States but simply can’t make the numbers pencil out. We remain hopeful that this dispute will one day see a resolution and allow us to site a future plant in the U.S.
2015 was the biggest year on record for the solar PV industry, and 2016 is shaping up to be even bigger. Now imagine what the rate of growth would be if the world’s largest region for solar manufacturing didn’t impose tariffs of up to 59 percent on select silicon imports. Surely freer trade laws would benefit us all. Five years later, those debates that began in Dallas echo on. In this time of solar prosperity and on the precipice of uncharted global growth, it is important to reflect and share our perspectives on how these tariffs continue to impact the industry. I do not presume to speak for all of my peers, but I do believe that there could be a better, more collaborative road forward. Terry Jester is a 37-year veteran of the solar industry with extensive leadership experience in the manufacturing and engineering of photovoltaics. She joined Silicor Materials in 2010 and has managed large solar operations, and has also held engineering positions with SoloPower, SunPower, SolarWorld, Siemens, Arco and Shell.